At MOPS yesterday, we filled up small Mason jars with the ingredients that my friend Ashley had already purchased and set out for us. I chose a pine-cranberry-cinnamon-orange version. Doesn't it look like a beautiful combination?! For a peppermint smell, use 2-3 peppermint sticks, 2 sprigs of pine, and 2 cinnamon sticks. 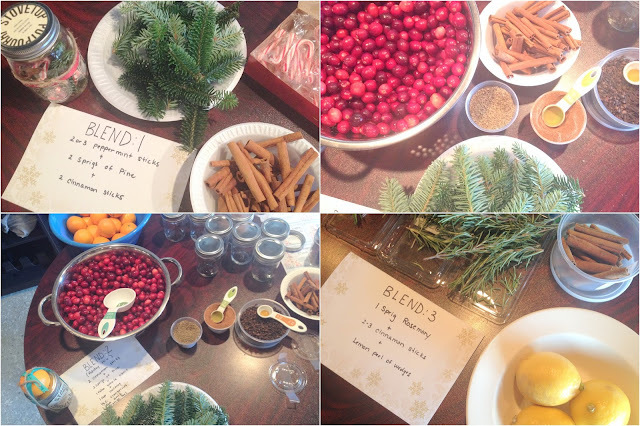 And if you aren't into deep Christmasy scents, try 1 sprig rosemary, 2-3 cinnamon sticks, lemon peel or wedges, and a vanilla bean pod. Awesome. This is much healthier than room sprays and will make your house smell amazing!! Happy Thanksgiving!! I'm Not Old, I'm Classic.